The Taylor 614 CE Grand Auditorium has a gorgeous Sitka Spruce top with pick guard and an amazing multi-colored abalone Rosette that draws the eye ever-so-subtly to the soundhole. The back and sides are composed of Big Leaf Maple, one of the hardest and most durable woods known to man, while the neck is made of Hard Rock Maple. The 20-fret fingerboard is a rich dark ebony which is interspersed with an ornate Pearl Leaf Inlay. 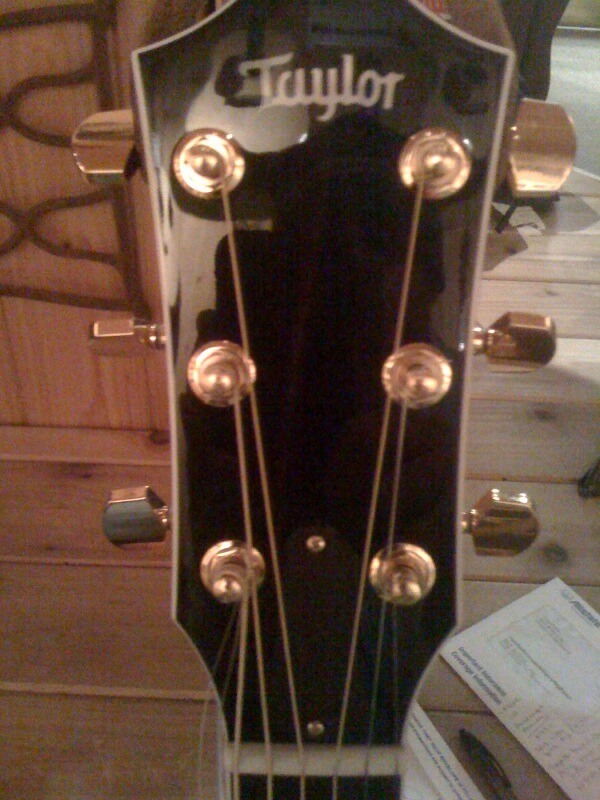 The bridge is also Ebony while the compensated saddle and nut are both composed of Tusq. The tuning machines are gold-plated and are produced by Taylor but perhaps the most remarkable and noteworthy feature of this phenomenal guitar is the built-in electronic system. The self-named Taylor Expression System has raised eyebrows amongst acoustic-electric aficionados due to its highly accurate representation of sound as well as its ability to blend tones smoothly. 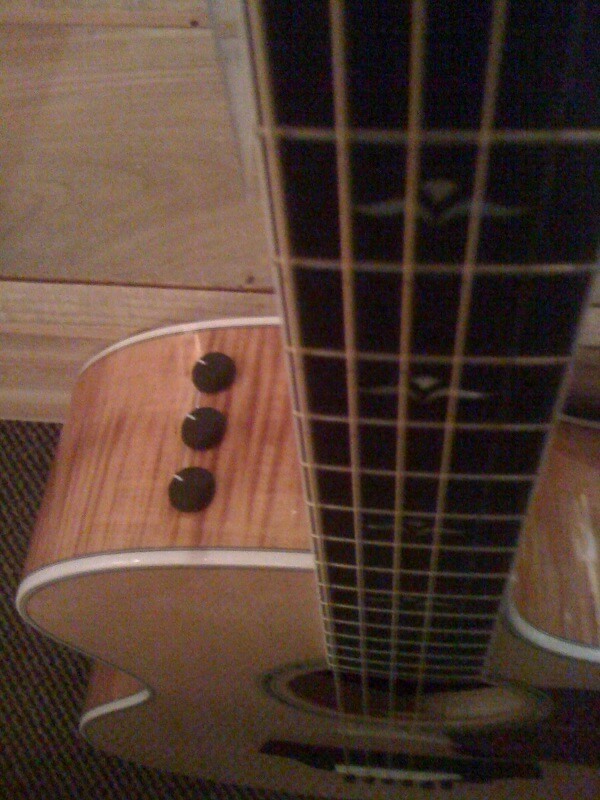 The system works like this : 3 magnetic sensors are located in various places inside the guitar, two are mounted under the soundboard while the third is located beneath the fretboard. The preamp then collects and boosts the signal cleanly and can be adjusted by three on-board control knobs that adjust volume, bass and treble. The signal is so clean that you can line directly into the PA or mixer free of distortion at almost any volume. The Taylor 614 measures 20" long by 16" wide (at its widest point) and 4 and 5/8" deep, fairly typical measurements for a Grand Auditorium. Width at the nut is 1 and 3/4" and since the guitar is a cut away, every one of its 20 frets is accessible to the operator. 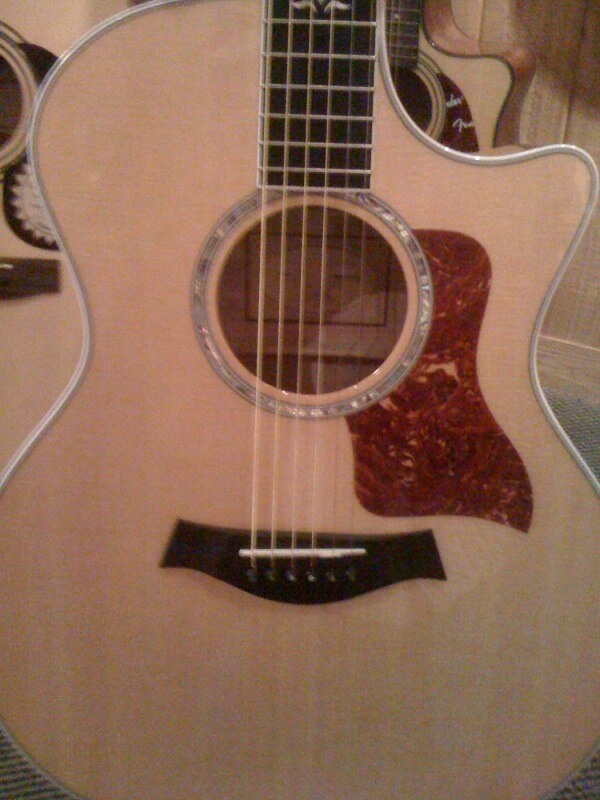 This guitar also features forward-shift pattern bracing which has the tendency to create more open space on the sound board and subsequently better bass response. This exquisite guitar is currently available for anywhere between $2950 to $3950 depending on where you're shopping. Between the superlative materials employed as well as the years of dedication and craftsmanship that have gone into the production of Taylor's fine instruments this guitar is worth every cent. From the moment I set my hands upon the Taylor 614 CE I knew it was an astounding piece of workmanship. 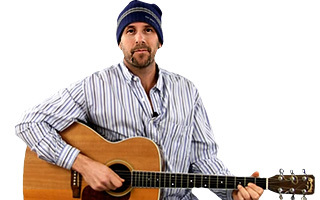 The guitar feels light yet balanced and solid, and has perfect action all the way up to the 20th fret. The guitar felt effortless to strum yet rang with incredible resonance and power throughout the room. The sound itself was perfectly balanced with excellent representation from the low end, into the treble region with no opacity or distortion. This is a truly phenomenal guitar and despite the potentially restrictive sticker price, it is well worth every cent. If you are an established player and want to make a major upgrade up in your equipment, the Taylor 614 CE just might be the guitar for you.